I love this rooster! He is from a set called Home to Roost that you can earn for FREE during sale-a-bation. 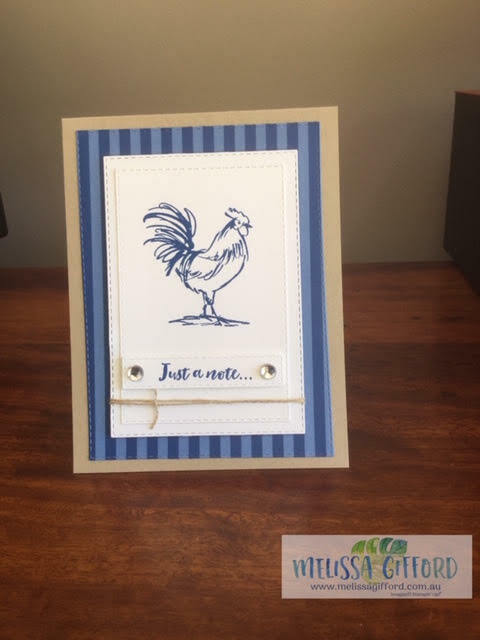 For this card I cased the talented Mary Fish Mary Fish - I just love her clean and simple designs. I think the use of a few colours makes the Rooster look bold and proud! And by using the rectangle stitched shaped framelits I didn't have to worry about measuring all the layers as they all nestle in happily.